BROOMFIELD, Colo. –As of 8/27/2014, the Colorado Department of Agriculture’s State Veterinarian’s Office has 205 locations under quarantine after horses and cows tested positive for Vesicular Stomatitis (VS); 17 of the 222 total quarantines have now been released. “The good news is that we have been able to release a number of quarantines and we expect that number to increase over the coming days and weeks. But, livestock owners must remain vigilant in their fly control. There is evidence that fly control as a prevention practice has been effective in disease prevention,” said State Veterinarian, Dr. Keith Roehr. VS can be painful for animals and costly to their owners. The virus typically causes oral blisters and sores that can be painful causing difficulty in eating and drinking. In Colorado, there have been 313 horses and 7 cows that tested positive for VS.
Mary Howell, a New Kent resident, completed a 100-mile endurance horse ride with her rescue horse Gryphon in a trail ride in Auburn, Ca. Howell was among 190 riders who began the 24-hour journey at Lake Tahoe. After navigating through rocky and treacherous trail, she and Gryphon were among 109 riders to successful complete the annual event. 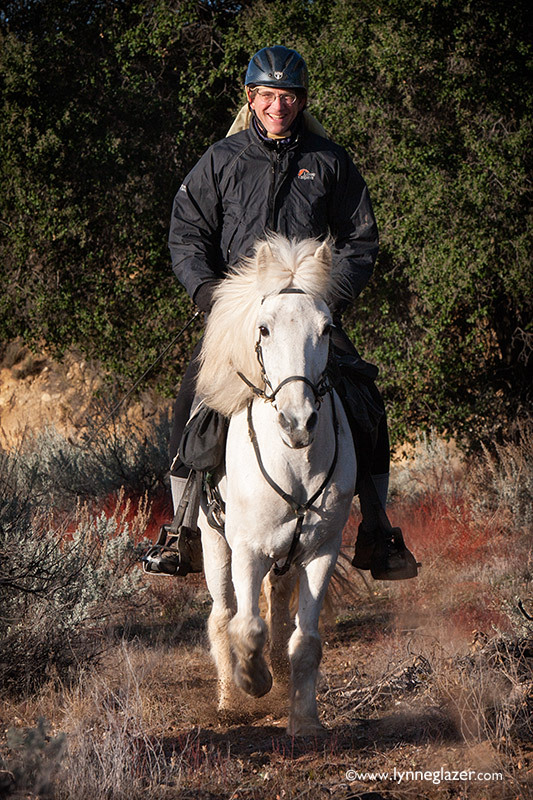 Howell has amassed more than 7,000 miles over the past 16 years as part of the American Endurance Riding Council (AERC) sanctions and competitions held nationwide. She received a legacy silver belt as a result of completing the Western States Trail Ride and continues to compete in the Old Dominion 100-mile ride that has been held in Northern Virginia since the mid-1970s. Published: Monday, August 25, 2014 at 11:38 a.m.
One of the competitions at the 2014 World Equestrian Games in Normandy, France, is a 100-mile horse marathon known as endurance. The Friday, Aug. 29, event features a contingent of Americans that all call either West Marion or East Levy county home for at least part of the year. Some team members, including Jeremy and Heather Reynolds and Kelsey Russell, are full-time residents. Dr. Fellers gets the credit for calling it when he said out loud at the preride meeting that "2014 was going to be a great Tevis ride year." The temperature dipped 15 degrees from the highs we were experiencing for the previous 5 days. Thunder showers in Truckee fired off every night for 5 nights previous to ride day- -enough that they seriously hammered down the dust. All the work put into the trail to resurrect it from the American Fire gave us the best footing ever. It was clear to me that twenty five or more riders entered in the ride were coming to take a shot at winning The Cup. We were truly going to have a strong field this year. As it turned out, a front-running group of sixteen came through the Deadwood vet check one right after another. This first group was a half hour ahead of last year's time at 50 miles into the ride. At this point, I was greatly appreciative that we had a very experienced Cup Committee overseeing the stops and fifteen experienced Tevis veterinarians to handle this close horse race at the level expected of Tevis. Every year there are several rides within the ride. I cannot help but root for the foreign riders who have come so far to experience their dream of Tevis. Then there is the group that is going for their first buckle and are determined to get their money's worth by using all the time allowed to get to Auburn. Some of these riders finish with just minutes to spare. They are the riders who go home with coveted legacy buckles. They are the ones with huge smiles and big thank yous whenever I saw them on Sunday. My heart goes out to those who tried and fell short of getting their buckles. The junior riders are a group who bring a special energy to the ride. They are always fun to see coming through the stops, and as a group, they ride as well as any. Oh, to be in that category again. The Signature Riders are a little less recognizable as they go through the ride, but they are also members of an elite group of passionate supporters of this event. When I do recognize them, I give them a nod of respect for the financial assistance they have given to make this the best ride ever. We also had two landmark buckles awarded this year--a decade buckle for Danny Grant and a 2000 mile buckle for Pat Chappel. Their stories sound very familiar to those who have tried Tevis. They have just kept it together both physically and emotionally longer than most-and persevered. I am proud of the job that the current BOG members have done as well as the former BOG members who laid a strong foundation from which we all move forward. Thank you for all at the awards ceremony who helped recognize the army of volunteers who put forth heroic efforts year after year. These folks come back again and again to help all the riders reach their goals. A few years ago Marvin Jacinto coined the phrase "this ride ain't for snivelers". Evidently the word got out because the snivelers didn't show up this year. What a great group of competitors we had from 13 countries all around the globe! It showed in the sportsmanship exhibited on the trail and in the number of completions at the finish. We saw several riders receive their buckle after failing to make the finish in previous attempts. The completion rate was 57.5% a record for the current trail. Congratulations to all. Heather Reynolds from Dunnellon, Florida, riding a 14 year old gelding named French Open (Hadea) was the winner of the Tevis Cup. She was part of a group that had traveled together most of the day. At exactly 9:00 pm Heather, Tennessee Lane from Windsor, Colorado, riding WH Pico's Shazam (Shazam!) and Tom Johnson from Loomis, California, riding AM Lady Liberty Wins (Libby) left the Lower Quarry vet check, six miles from the finish, together. Thirty-two minutes later Heather crossed the finish line, followed in six minutes by Tennessee and in another three minutes by Tom. It was one of the most exciting finishes in recent memory. All the horses looked fantastic and easily passed their vet checks. This is the second time Heather has received the Tevis Cup, winning it in 2003 riding Master Motion. Her husband Jeremy is no stranger to the Cup either, winning it three times in 2011, 2007 and 2004, quite an impressive record for the family duo. One hour and eight minutes later Barrak Blakeley from Terrebonne, Oregon, riding MCM Last Dance, a 17 year old gelding, crossed the finish line. The pair was awarded the coveted Haggin Cup at the Sunday awards ceremony. Barrak is the first junior to win the Haggin Cup. * He is no stranger to the ride with four Tevis starts; this is his second Tevis finish. He has paid his dues in both successes and failures on the trail. We are very proud to see one of our junior riders receive this honor. The Haggin Cup was first awarded to Paige Harper in 1962. In the early days many people thought that endurance riding was just a bunch of crazy people, who didn't care about their horses, running down the trail as fast as they could. To show that this wasn't the case, the Haggin Cup was established. To many the Haggin Cup is considered equally prestigious to the Tevis Cup. At 10:00 am the morning after the ride the veterinarian committee examines the top ten finishers and chooses the horse most fit to continue at that time. Neither speed nor weight carried the day before are factors to be considered, only the fitness of the horse. Wendell Robie put it this way. "Imagine you were in the old west and were attacked by outlaws and had to choose a horse out of the top ten to flee for your life, which one would you choose?" That was the premise of the Haggin Cup in 1962 just as it is in 2014. The Haggin Cup is a prestigious award on its own. Many riders plan their ride to compete for this cup, not the Tevis Cup. Such a strategy may be completely different than one you would use for going for the Tevis Cup. One plan might be to try to take your time, save your horse and shoot for 9th or 10th place. The Haggin Cup is not a consolation prize for not getting the Tevis Cup; it is a completely different competition. In fifty two years only hand-full of people have managed to win the Tevis and Haggin cups in the same year. This award for best condition became the standard for endurance riding and was one of the original five principles of AERC. Over time as AERC developed, they decided to add speed and weight carried as part of best condition judging criteria. When the Western States Trail Ride (WSTR) decided to join with AERC and become an AERC sanctioned ride it was granted special dispensation that allowed WSTR to continue to use the original best condition judging format. That is why the Haggin Cup judging is different than any other AERC sanctioned ride. In closing, I would like to thank the 2014 volunteers, ride director Chuck Stalley, the veterinarians, and Board of Governors. Thanks to your hard work, dedication to the Tevis and labors of love the 2014 Tevis Cup Ride will go down in history as one of the best ever. * In 1972 Hal Hall won the Haggin Cup when he was 17. The rules in 1972 stated that a junior rider was 16 and younger and had to ride with a sponsor. At 17 years old a rider was considered an adult rider and did not have to ride with a sponsor. So Hal Hall was an adult rider in 1972. Prior to 1972 there was no rule requiring a sponsor for a junior rider nor were junior riders identified on the ride post ride charts. All junior rider records prior to 1972 are unofficial records. The latest equine inductee into the AERC Hall of Fame is my 26-year-old, 13.3-hand Icelandic horse, Remington. Why on earth would anybody want a cantankerous old pony in the Hall of Fame? 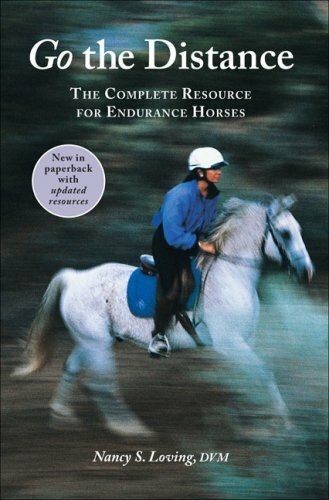 Maybe the answer lies in the different ways we recognize endurance in our horses. What is endurance in a horse? It can be the ability to perform well in a tough 50 or even 100 mile ride. It can also mean the ability to keep competing through a long season and garner year-end awards. Or it can mean the ability to stay sound enough to pile up ride completions over a long career. Some of the horses in the Hall of Fame have won ride after ride. Others have rolled up mile after mile. Some have done both. With Remington it is all about longevity. With two 50-mile rides so far this season, we have now completed endurance rides together for the last 20 years in a row. He has accumulated 11,300 career endurance miles so far. He is a gold level horse in the AERC’s 100-mile program for having completed ten 100-mile rides. He has also completed more than ten multiday Pioneer rides. Even among all the incredible horses in the Hall of Fame, Remington is unique for the combination of these achievements. Remington hasn’t been pulled since 2004 when he completed 2,055 miles in one season. He is the highest mileage gaited horse in the history of the sport by far. He participated in the XP 2001, XP 2004 and XP 2011 cross-country rides and has crossed the Continental Divide at South Pass three different times. Whether you prefer the metaphor of the Energizer bunny or the Timex watch which keeps on ticking, the pony just keeps going. Most people rightly think of Remington and me as back-of-the-pack finishers. Our only top ten finish when there were more than ten horses entered in a ride came in the first AERC 100 Mile Championship Ride in 1998 after other horses dropped out. Remington did show an occasional turn of speed, though, years ago when I was pushing for him to be the first Icelandic to win a regional points championship. I think his fastest 50-mile time was 5:44 for a ride out in the desert. We went first middleweight in the Pacific Southwest Region in 1998 and again in 2004. It seemed like we were always competing back then with my fellow middleweight Randy Coleman and his superb Hall of Fame horse Pandora’s Pixy. We also took the regional rider mileage championship in both of those years, and placed second in national mileage in 2004. We started endurance in 1995 just a few months after I bought Remington as a Christmas present for my wife and children the year before. I was an avid mountain biker at the time but thought that riding the pony would be something my whole family could share. I hadn’t ridden a horse for nearly 40 years since back when I would climb up on the back of one of my grandpa’s farm horses with two or three of my cousins when I was a child. I thought it was only fair to try to keep Remington fit after I brought him home so I tried to ride him a couple of nights a week after I came home from work. His breeder told me that I should give endurance riding a try if I was going to ride him so much. She had done endurance on Icelandics to promote the breed a decade or so before. I also learned about the prominent role Icelandics played in the Great American Horse Race in 1976. Endurance looked like the perfect sport for us. I figured I would learn a lot about horseback riding and horse care from other riders. We would have the benefit of supervision from veterinarians and ride managers to provide us a margin of safety while we both learned about covering long distances and tough terrain. We would be exposed to state-of-the-art information on horse care and equipment. We would get out on beautiful trails we might not otherwise have access to. I still remember the feeling of accomplishment when we finished. For some reason, completing that first 30-mile ride was one of the most satisfying things I had ever done. Our next ride was a Terry Woolley Howe extravaganza near San Diego. I was so ignorant at the time that I didn’t even have a blanket for Remington when it started to rain the night before the ride. So I went over to the general store next to camp and bought a red-checkered plastic tablecloth and safety pins to use as a makeshift rain fly. We had such a good time the next day at Terry’s perpetual party that I could not imagine not doing it again. I guess we were hooked. After a season of limited distance rides, we tried our first 50-milers at the beginning of 1996. We completed our first one but just weren’t adequately prepared to finish our second one. I then met up with Kim and Richard Fuess and received excellent mentoring from them on conditioning and nutrition for longer distances. This made a world of difference for us. We completed another half dozen or so 50s with no problem over the rest of the year. We completed our first 100 the beginning of the next year. We did our first multiday ride six months later when we drove out to Utah with Richard and his young Arabian stallion Jake. It was obvious by then that Remington was never going to be a threat to finish first. It was equally clear, though, that he possessed that extra degree of toughness and soundness to stay fresh over any distance, especially multidays. I came to realize that completing those longer distances was as much about me having the brain power and discipline to properly manage the horse over the course for hours and hours and even days as it was about the horse himself. Whether it was the scenery or the mental challenge, all of my favorite ride memories over the many years since then have come from 100-milers or multidays. Remington’s time with the young stallion Jake at multidays illustrates much about the pony’s character. The same qualities that make him a great babysitter can make him a handful to deal with. The plain truth is that he is cranky and willful. He is supremely confident out on the trail, and everywhere else. He is obsessed with keeping other horses in line. Young, nervous horses love being with him. He has helped dozens of them through rides. Remington is the horse everybody waits for to lead the youngsters over difficult stream crossings or through herds of cattle. Remington’s bossiness extends to other species besides horses. He relishes pushing cattle around. He has no tolerance for dogs. He enjoys the company of people but does not like being told what to do by them. His willingness to run away (but not very far) from anyone trying to hold his lead rope is legendary. Remington’s aggressive nature can have its advantages. Perhaps my scariest experience riding him came when we surprised a full-grown black bear at close quarters on the aptly named Upper Oso trail in the national forest near my home. Clearly agitated, the bear faced us from less than ten feet away and started to rock from side to side. All I could think about was what would the bear do to me if I fell while my horse spun to run away. Instead, Remington pinned his ears back, arched his neck and charged. The bear, at least, had the good sense to turn around and run down the mountain. I suppose Remington even has a protective or gentle side to his personality. The only other person besides me to ride him in an endurance ride was my youngest son, back when my son was 12 years old. My son has special needs but he wanted to try to get through an endurance ride at least once in his life. Remington carried him as though he was bearing the most precious, most fragile cargo in the world. For once, he stood perfectly still for every mount and dismount. Whenever my son would stretch, Remington would gradually slow and give him time to get comfortable. Remington stayed perfectly balanced underneath him for 50 miles, with no sudden movements. Tears still well in my eyes when I think of my son’s pride when they crossed the finish line and my gratitude for the priceless gift Remington gave us that day. Remington’s extreme intelligence and insistence on being the decision maker certainly makes for an interesting ride since I am never sure of what he is going to do. He is nimble and sure-footed. He loves to dash through the rocks and jump over logs and washouts. It is thrilling to ride him while he weaves his way through the trees down a steep winding trail in the mountains at full speed. He prefers to pick out the trail himself and is an expert at following ribbons. He has an amazing ability to memorize trail and terrain. He never fails to recognize a trail even in country he has traveled through only once or twice and hasn’t seen for years. So recently I got out all my old ride photos and researched books and articles on gaits. The photos of Remington’s side gait tell all. I cannot find one photo of him showing the classic diagonal stride and even footfall of a trot. Instead, what the photos consistently show is when the hind leg is touching down underneath him, the front leg on the same side is up in front of his chest with the foot hanging down. While the other hind leg is extended behind him, the front leg on that side is in a near vertical position under him instead of reaching out as it would be in a trot. If I listen carefully, what I hear isn’t really a two-beat gait but a broken four-beat gait instead. I don’t hear the even four-beat “Black and Decker” sound of a proper tolt. I hear a “di-dut, di-dut” instead. Photos show his front feet are clearly touching and taking off before his corresponding hind feet. His hoof marks show a nine-inch overstride. Whatever it is, the gait is very, very smooth to ride at any speed. Methinks my pony dances the foxtrot! Whatever way he is going, my strange little horse is still going strong. He hasn’t had a step of lameness since he started going barefoot several years ago. He has actually muscled up and become more powerful since I switched to a treeless saddle at about the same time. I have been riding Remington now for exactly half of my adult life. The pressures of maintaining a busy law practice and caring for a now-adult special needs child never seem to leave me with enough time for riding. Still, we make do. Although my wife is my true love, Remington is definitely my soulmate. When we are riding in the wee hours of the morning, I can feel his muscles moving as though they are my own and I know he can read my thoughts. Sometimes it feels like we are two parts of the same being. I was filled with pride when Remington was awarded Hall of Fame horse at the AERC national awards banquet this year. It was especially meaningful that the award was presented by our longtime friend Terry Woolley Howe, because she has witnessed our entire endurance riding career. Oddly, I wasn’t proud for my horse, because I already knew who he is and what he has accomplished. No, what I was proud of was my AERC. I was proud of my AERC because it recognizes the value of keeping our horses sound and healthy over the miles and over the years. I was proud of my AERC for sticking to its guns and staying at the forefront of guarding our horses’ welfare for the 20 years Remington and I have been in the sport. I remain proud of my fellow endurance riders for creating a community centered around a profound respect for what our horses do for us. Seneca Stampede draws 56 riders to Bear Valley. BEAR VALLEY – Holly Rouska of Bend has combined her love of endurance horse riding with her love of the Bear Valley area. She and her husband Les, ride managers, have teamed up with friends in Seneca to provide a unique fund-raiser, the Seneca Stampede Endurance Ride. It’s a labor of love to support the Seneca School Foundation. “I’m incredibly passionate about endurance rides,” Holly said. At the age of 26, Icelandic horse Remington has been named as this year’s American Endurance Ride Conference Hall of Fame Equine. The 13.3hh pony wasn’t honored for winning distance events, but for his consistency and true endurance. Owner John Parke shares the story of this remarkable competitor and how he came to earn endurance riding’s supreme honor. A shortened version of this article, entitled “Sturgeon Creek Arabians’ Carl Fudge Honored for Outstanding Achievements in the Sport of Endurance,” appears in the August, 2014 issue of the Canadian Arabian Horse News. 2 AERC Decade Team members. Out of 596 total competitions, there have been 206 Top Ten finishes (35%), 55 wins, 38 seconds and 30 Best Condition awards. There has been a remarkable 87% completion rate, covering 25,000 miles in competition – beyond the distance around the world! Five horses have over 2,000 miles in competition and four others have between 1,400 and 2,000 miles. 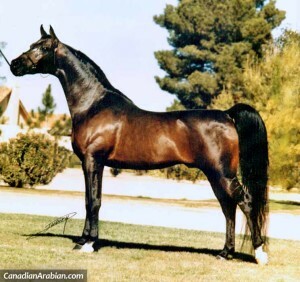 These 27 Endurance horses were produced by 7 different sires and 17 different dams. It is amazing to have these consistently excellent results when there were different owners, different environments, and unique training and conditioning programs. The only common factor has been the power of the gene pools SCA has used. Other SCA-bred horses have competed in open dressage, Sport Horse competition and barrel racing, while many just became well-loved family members. MAGALIA >> Three and a half years of practice and failure paid off for JayaMae Gregory when she rode Asali, her Missouri fox trotter horse, across the finish line at the Tevis Cup in Auburn early Sunday morning. Gregory and Asali finished the 100-mile endurance race 66th out of the 107 teams that finished. A total of 186 began the race at Robie Equestrian Park near Truckee and ended at Gold Country Fairgrounds in Auburn. Asali was the second Missouri fox trotter to complete the 100-mile race since 1979, and the other Missouri fox trotter completed the ride in 2011 when the 100 miles were shortened because the toughest canyons were clogged with snow. Last year, Gregory attempted the Tevis Cup, but fell short when she and Asali were about 20 minutes late to the 55-mile checkpoint. "It was right after the most difficult canyon, Devil's Thumb Canyon," Gregory said. "It was extremely hot. She pooped out on me." Gregory walked the horse through the canyon, but they were a little too late to keep going. "This year, I still did almost the entire thing on foot," Gregory said of tackling the Devil's Thumb. "But she let me tail her this year. With tailing, I grabbed her tail and she pulled me right out of that canyon." Ready for an old-fashioned movie experience? In a state-of-the-art theater? Come watch Hidalgo at the Alamo Drafthouse in the Vintage and support SIRE’s special needs riders at the same time. SIRE patrons also will have the chance to hear from Darolyn Butler, championship endurance rider, who’s raced over some of the same harsh land portrayed in Hidalgo. The lightening was flashing all around us as we zig zagged our horses through the trees and brush. The horses were tense and the air filled with electricity. As the trail wound around we'd see the bright flash and hear the crack of the thunder directly above us. With one deafening crack of thunder I was accused of screaming like a girl! It was just a small scream but the danger was real as we scurried down the mountain side as fast as we dared. 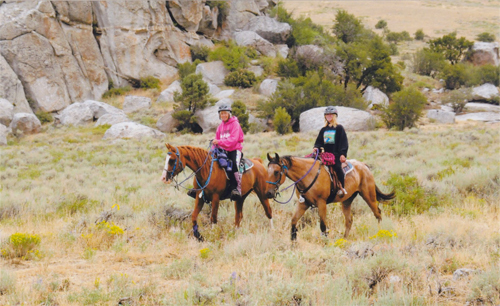 This was true endurance at the City of Rocks Pioneer ride, August 9. Day 3 had begun as a gorgeous morning and turned to thunder and lightening. Most stories start at the beginning, this one starts backwards, near the end. Jordan Heald tells us about her first Tevis completion, while Barrak Blakely fills us in on what it's like to win the Haggin Cup as the youngest rider on the oldest horse to win ever and Heather Reynolds is going to describe her exciting ride to a first place finish at this years Tevis Cup, Plus more -- endurance tips, biothane tack, how to find a mentor and more. Horses in the Morning 6 - 7:30 a.m. pst. It is a sport that pushes both animal and rider to the limit but for one Norfolk woman it has led her to the international stage. Carol Chapman is set to compete in this year’s endurance riding Home International competition in Scotland. 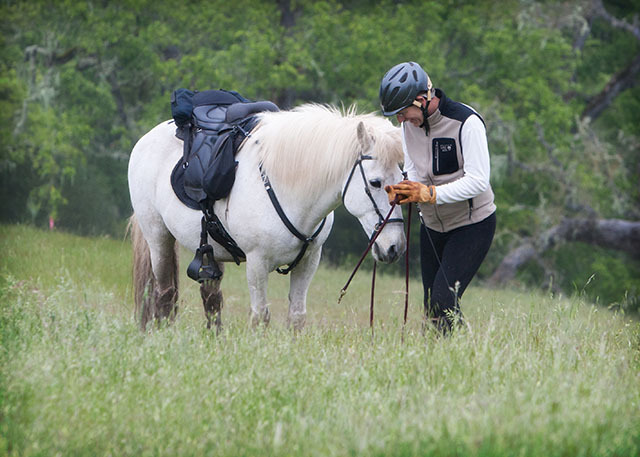 Endurance riding sees riders and their mounts travel over long distances through all kinds of conditions and types of countryside. Although she has been riding since the age of 11, this will be the first time Mrs Chapman, now 57, will be competing at an international level. She said: “I am really proud and pleased to be selected. Fun and fitness are all part of this unique endurance sport. Are you a horse lover and a runner? Ever wonder if there was a way to combine the sport of endurance riding with cross-country running? Look no further! The equestrian sport called ride and tie might be right for you. Officially started in 1971, this relatively new sport to the horse world requires a team of two people and one horse. Over a trail course that can vary in length from under ten miles to one hundred miles, each individual trades off riding the horse and running solo at strategic distances along the course. The 59th annual Tevis Cup is so foal of good horses, Ride Director Chuck Stalley can’t even pick a favorite. Some of the equestrian endurance athletes will be seeking the Tevis Cup with a first-place finish and others the Haggin Cup, awarded to a top-10 finisher whose horse finishes the ride in the best condition after arriving at the Gold Country Fairgrounds’ McCann Stadium. Auburn Mayor Bridget Powers had the chance to show off her foreign language skills Tuesday night, saying hello to more than a handful of international Tevis Cups riders in their respective languages at a dinner welcoming the out-of-towners to the Endurance Capital of the World. About 140 people attended the Tevis Cup’s annual Foreign Rider Reception/VIP Dinner held outside at the Auburn Staging Area, giving the riders from overseas the opportunity to share their stories of why they want to compete in the Western States Trail Ride. Angie Mikkelson has been dreaming about Tevis Cup and riding along the Western States Trail for years. The circumstances, however, have never been right for the 39-year-old North Dakota woman. She’s never had the right horse. And until having a heart transplant in 2000, Mikkelson wasn’t healthy enough to compete in the 100-mile equestrian endurance ride from Robie Park to Auburn. This year, though, the pieces are all falling into place. Mikkelson is leaving Scranton, N.D., today, embarking on a three-day drive to the Endurance Capital of the World. A self-proclaimed cowboy, Mark Schuerman of Auburn is an expert when it comes to working with steeds for endurance and show. He also rides. And he does it well.